The Burasari Resort Phuket is perfectly located just steps away from Patong Beach, the most popular beach and holiday destination in Phuket. 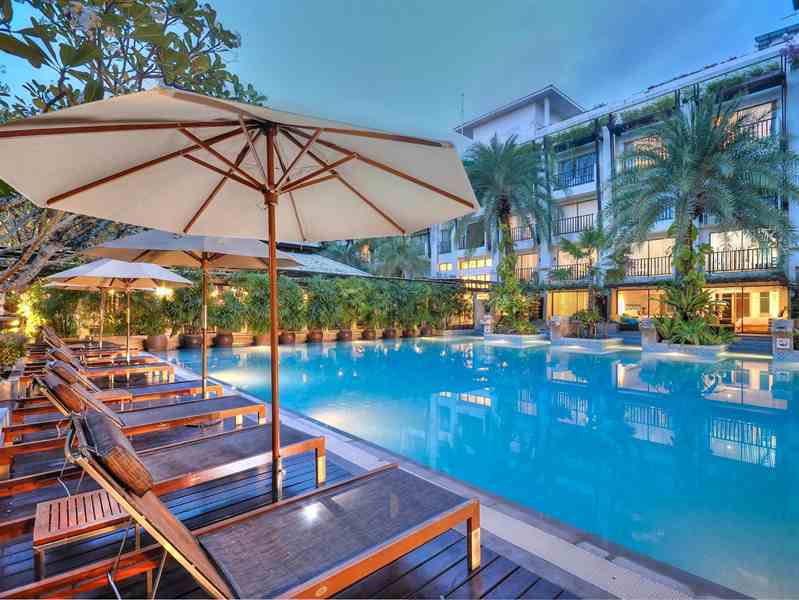 The Burasari is a 4 star boutique resort, ideally situated in the heart of Patong. The Burasari is located close to all the restaurants, bars and shopping at Jungceylon and Otop markets. 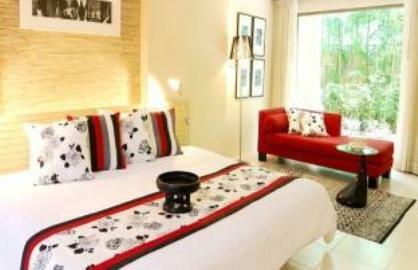 As well as being within walking distance to the vibrant nightlife of Bangla Road. The gardens within the resort are stunning with frangipani trees, palms, and waterfalls that create a peaceful haven, far removed from the hustle and bustle of the outside world of Patong. The Burasari Resort Phuket has a collection of 186 luxury rooms with a large range of room types, styles and price ranges. With such a great range of rooms and prices at the resort there is something here for all budgets and tastes. All the rooms at the Burasari Resort are set around two beautiful swimming pools. 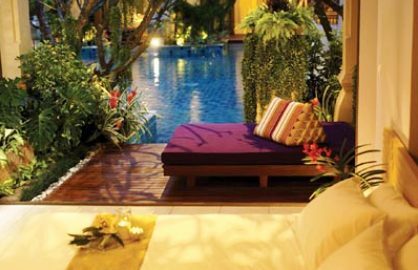 Premiere Rooms at the Burasari are spacious with a balcony overlooking either the pool or the garden. 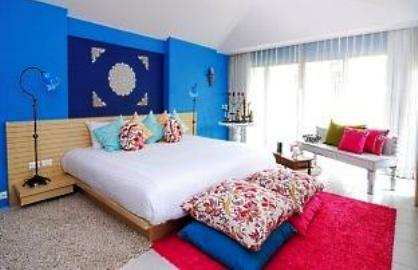 These stylish rooms are fitted with a comfortable king-size bed or twin beds and have a large bathroom. The Premiere Pool Access Rooms have a comfortable king-size bed and spacious bathroom and are tastefully designed with a private terrace, providing guests with direct access to the pool. The Elite Rooms at the Burasari have spacious living areas both indoors and outdoors. A private balcony overlooks the swimming pool or garden area with a choice of either a large daybed or a swing. These rooms are fitted with a comfortable king-size bed or twin beds, a rain shower or a bathtub with a shower. Elite Pool Access Rooms are super spacious and you will never want or need to leave your room. 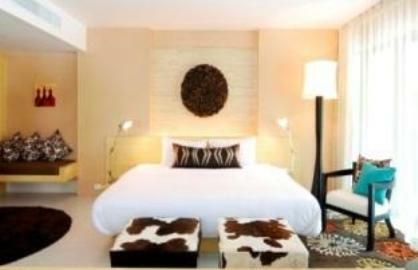 These luxury rooms have spacious and private terraces with direct pool access and a king-sized daybed on the terrace. 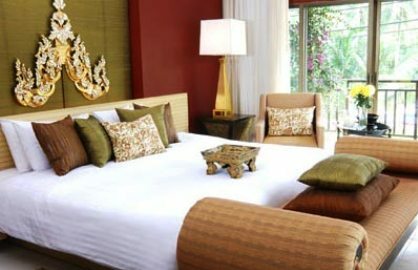 In addition to the types of rooms above, the Burasari Resort Phuket has a unique collection of nine individually themed rooms, called the Mood Collection. 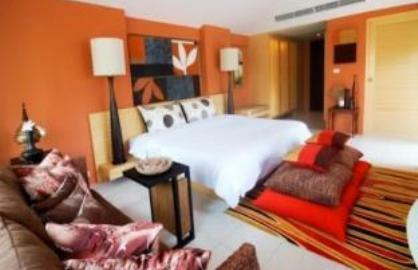 These rooms are custom designed to offer guests a totally different holiday experience, that will suit your every need. The Blue Breeze room is decorated in a Moroccan design, with lots of colour used to create a cheerful and uplifting atmosphere. The Mocha Spice room is a warm an inviting room with lots of earthy tones combined with wooden textures and Thai accessories. The Sangria Delight room is perfect for those who love to party. 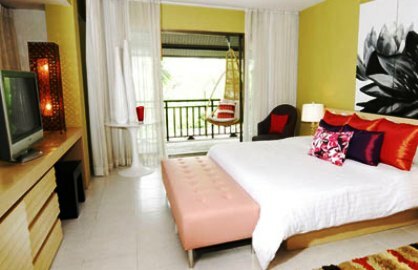 The colorful room comes with a fully stocked bar and an outdoor swing on the balcony. 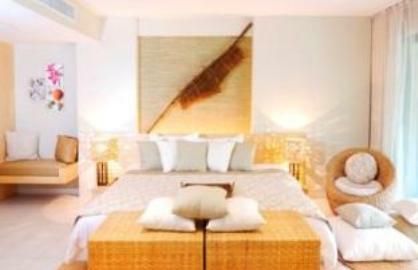 The Serene Sand room is ideal for beach lovers, with handcrafted furnishings made from cane and straw. The Smooth Whisky room has a day bed and a fully stocked bar on the balcony that extends out to a Jacuzzi. 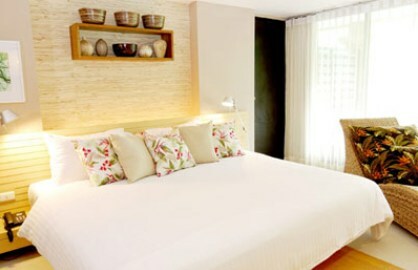 The Sweet Dreams room is ideal for romantic getaways, the room includes a separate room, perfect for private dining. This room also has a private outdoor Jacuzzi on the balcony. 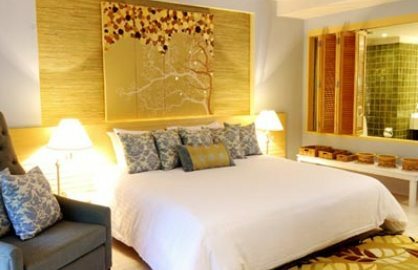 The Thai Elegance room is designed with classic Thai architecture and features a carved, gilded headboard above the bed. Relax on your private balcony or in the Jacuzzi. The Tropical Home room is designed for family vacations, with a connecting room for the kids. This room has a separate area with a big sofa and work desk, while the outdoor balcony comes with a spacious daybed and dining table. The Glam Splash room is spacious and contains a private dressing room with direct access to the pool from the poolside balcony. The Burasari Resort Phuket is known as one of the top honeymoon spots in Phuket. And as such the Burasari feature nine specially created honeymoon suites, purposely designed for pure romance. The honeymoon rooms feature teak wood furniture, solid brass fixtures, and a soft low lying sofa, gold leaf artwork and an enormous seven foot bed and a 42” plasma TV. On the private terrace sits a huge hand carved bathtub. 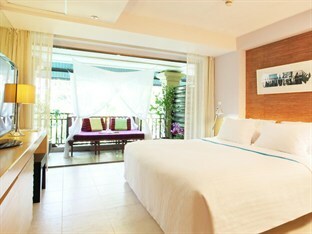 All rooms at the Burasari Resort Phuket are air-conditioned an include the following in-room facilities. The facilities and services at the Burasari Resort Phuket include all the comforts and services you will need to create a great holiday in Phuket. Here are just a few. If you choose to stay at the Burasari Resort Phuket you will also be offered private day trips to the beautiful and secluded Paradise Beach. These day trips come complete with picnic baskets, snorkeling gear and canoeing equipment. Or enjoy a choice of traditional and alternative treatments and detoxification packages at the Spa by Burasari. The Burasari Resort Phuket has a selection of bars where you can go to relax after a day of sightseeing. Misty’s Bar has a selection of cocktails, fine wines and beer. The pool bar has pool tables and large TV screens or Just for You Juice Bar, with a selection of fresh juice. 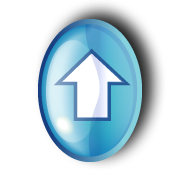 Click here for Information | Pictures and Room Rates. If you are traveling with kids, there are connecting rooms available depending on room types. The Burasari Resort is a non smoking hotel. Smoking is prohibited inside the hotel rooms, restaurants and common areas of the resort. The only place guests can have a smoke is at Misty’s Bar. See what other travelers have thought about their experience at the Burasari Resort Phuket on TripAdvisor.